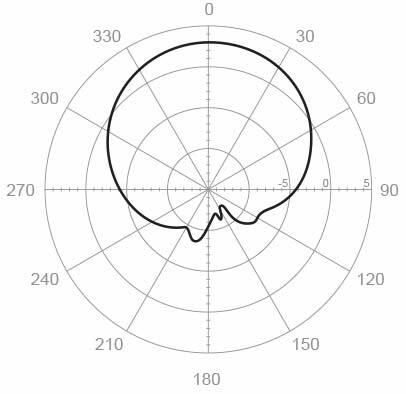 The Dipole antenna is ideal for low ceiling installations where wall penetration or extended reach are important. Some example uses are low-density deployments like schools and hotels to provide basic low-performance connectivity. These types of best-effort deployments usually have APs installed in the hallway to cover adjacent rooms. The price shown is for a single unit; the Dipole antenna can be purchased in units of 1, 5, or 6. The Dipole antenna is ideal for low ceiling installations where wall penetration or extended reach are important. Some example use cases are low-density deployments like schools and hotels to provide basic connectivity. These types of best-effort deployments usually have APs installed on walls or uneven surfaces. This antenna is bendable. 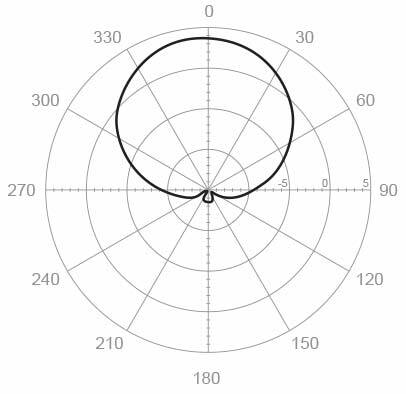 The price shown is for a single unit; the Dipole antenna can be purchased in units of 1, 5, or 6. The Panel Omni antenna is ideal for low ceiling aesthetic consensus installations where wall penetration or extended reach are important. Some example uses are low density deployments like schools and hotels to provide basic low performance connectivity. These types of best effort deployments usually have APs installed in the hallway to cover adjacent rooms. 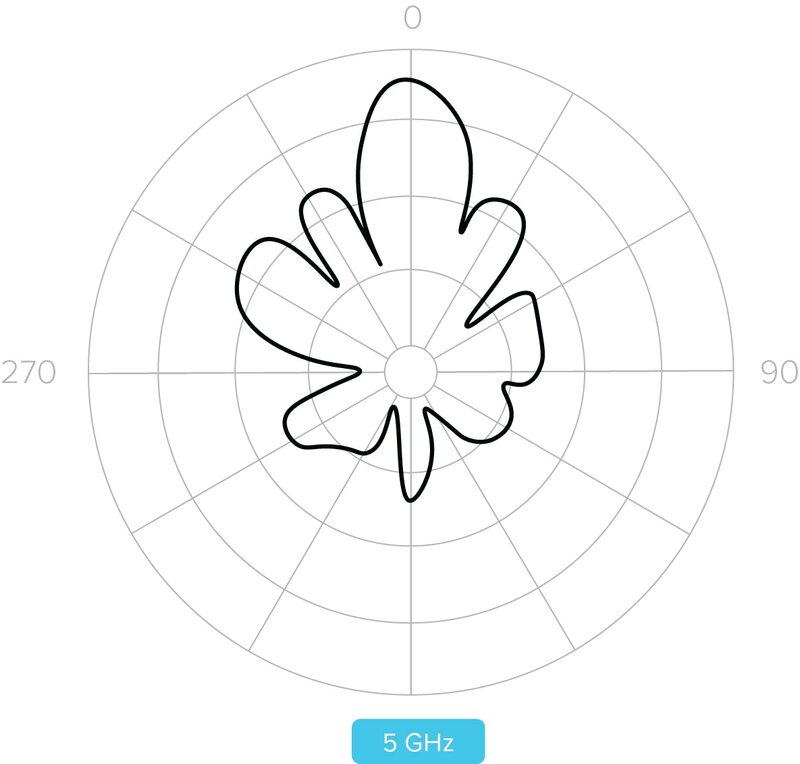 This antenna supports Meraki’s smart antenna capabilities. 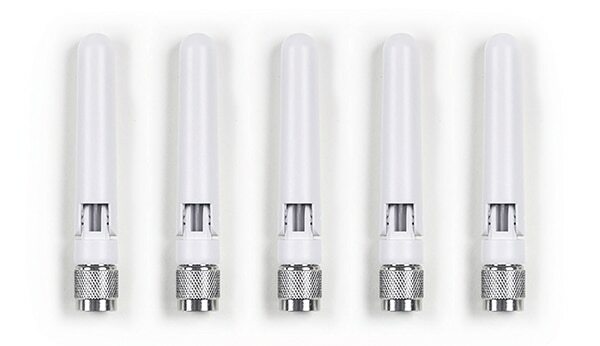 The price shown is for a 5-connector model; the Panel Omni antenna can be purchased with 5 or 6 connectors. 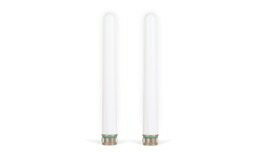 The Downtilt Panel Omnidirectional antenna is ideal for medium ceiling (8 ft - 25 ft) aesthetic consensus installations. Some example uses are medium-density deployments like cube office space and vestibules. 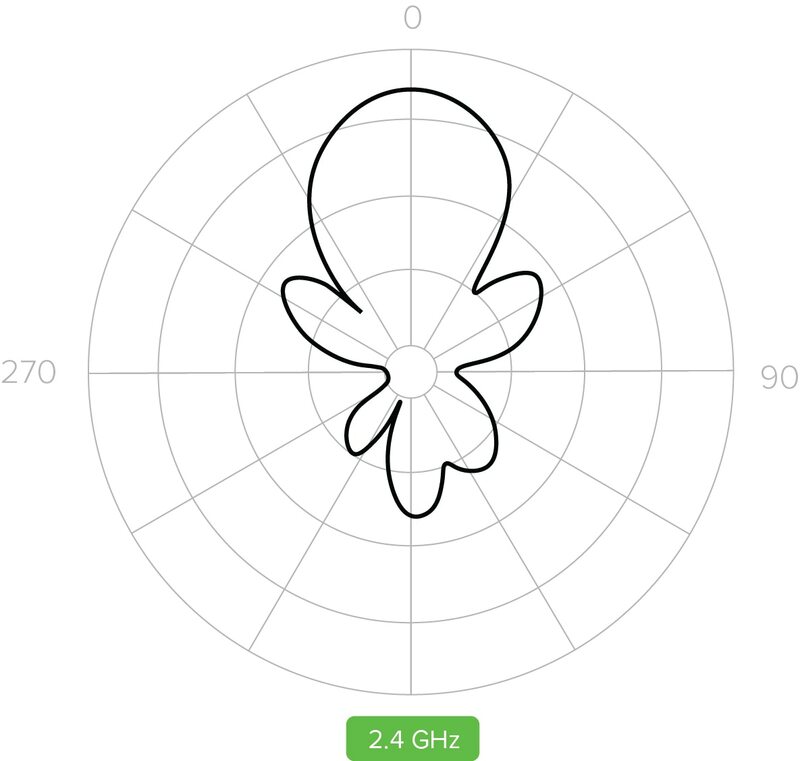 This antenna supports Meraki’s smart antenna capabilities. 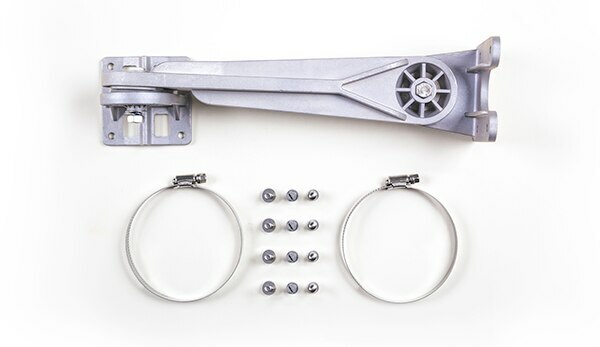 The price shown is for a 5-connector model; the Downtilt Panel Omni antenna can be purchased with 5 or 6 connectors. 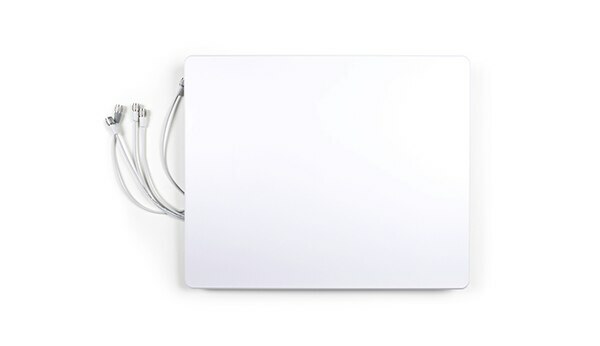 The Wide Patch antenna is ideal for wall-mounted deployments, aesthetic consensus installations in low density applications and wall mounted or ceiling mounted below 25 ft in high density applications. Some example use cases are in vestibules with very high ceilings but few devices connecting and lecture halls where install is close to the users. 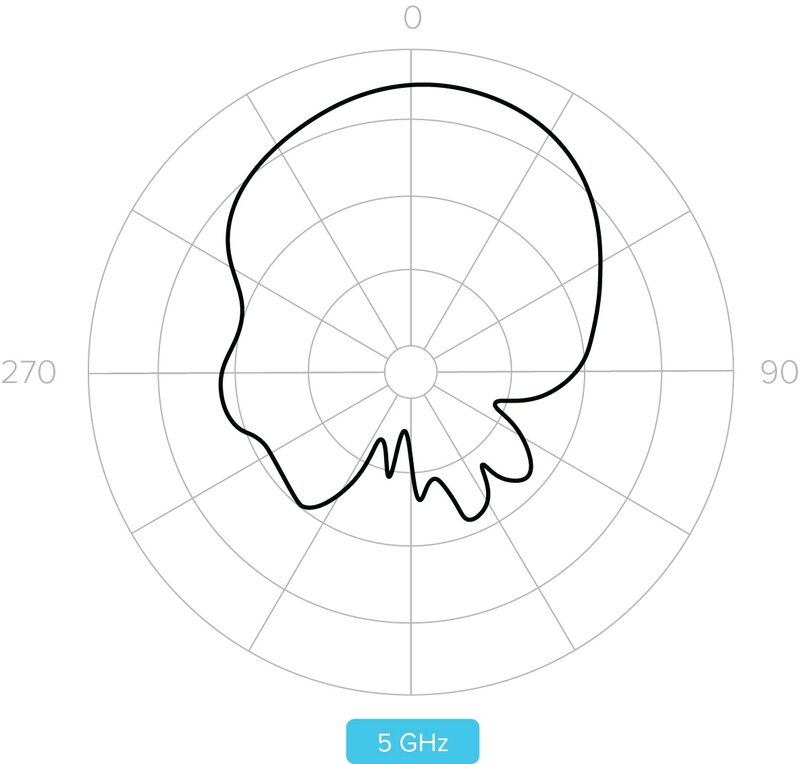 This antenna supports Meraki’s smart antenna capabilities. 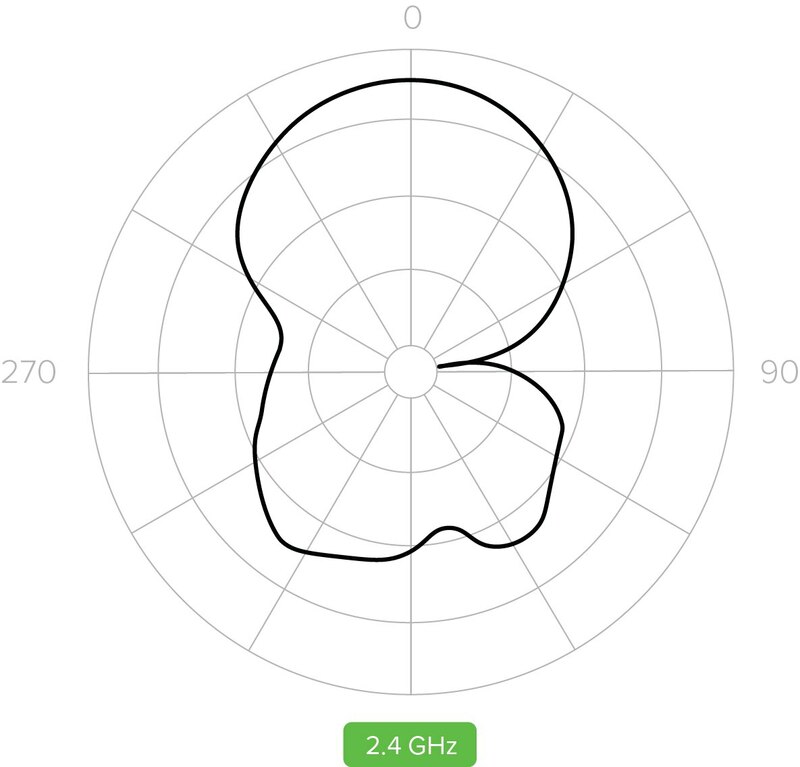 The price shown is for a 5-connector model; the Wide Patch antenna can be purchased with 5 or 6 connectors. 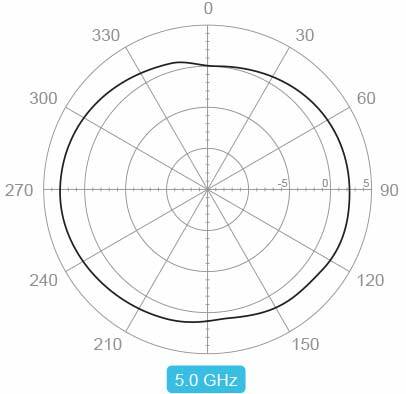 The Narrow Patch antenna is ideal for high ceiling (25 ft+) aesthetic consensus installations in high density applications and where APs are covering high density users in small zones. Some example use cases are in large lecture halls/stadiums as well as event venue centers. 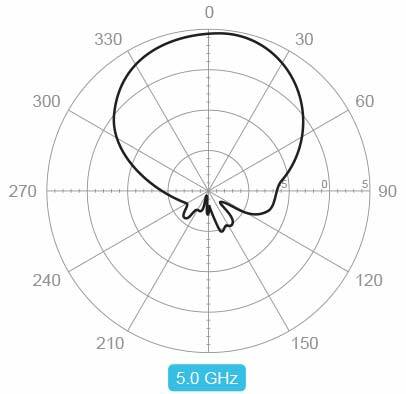 This antenna supports Meraki’s smart antenna capabilities. 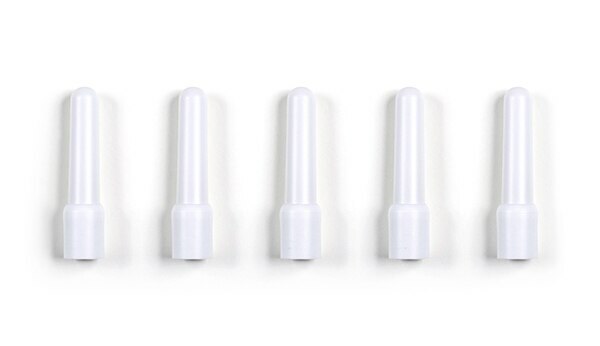 The price shown is for a 5-connector model; the Narrow Patch antenna can be purchased with 5 or 6 connectors. Cisco Meraki’s antenna accessories improve the reach and connectivity of a network by increasing signal strengths between repeaters and clients. 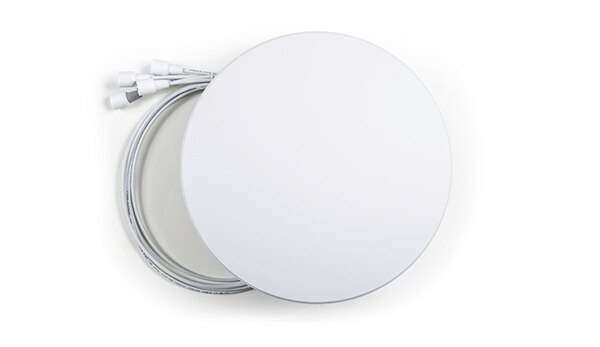 The antenna comes with everything you need to attach it to your Meraki AP, and is suitable for indoor or outdoor use. No special adapters are needed. 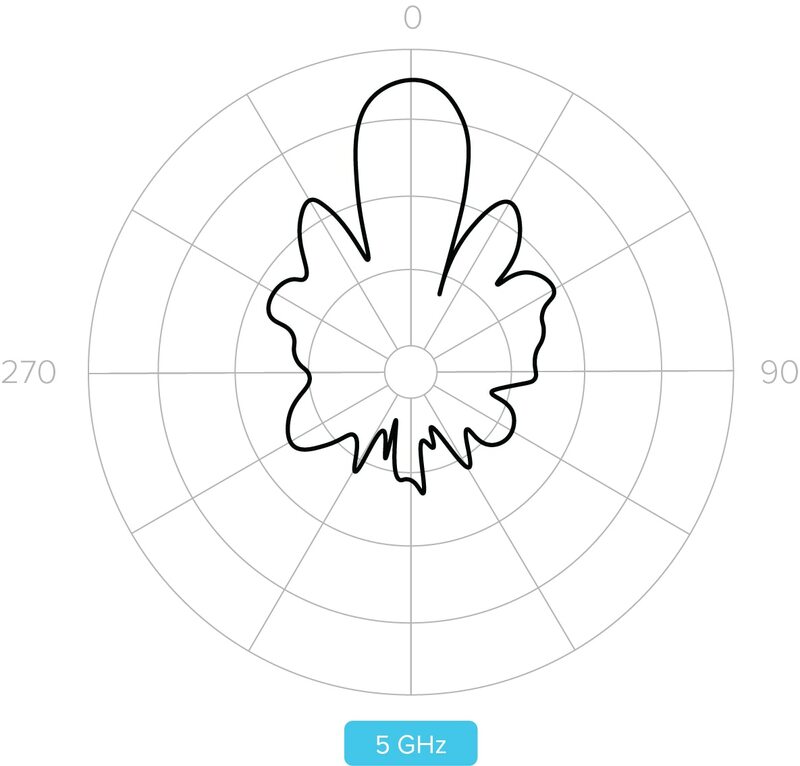 Meraki’s antenna accessories improve the reach and connectivity of a network by increasing signal strengths between repeaters and clients. 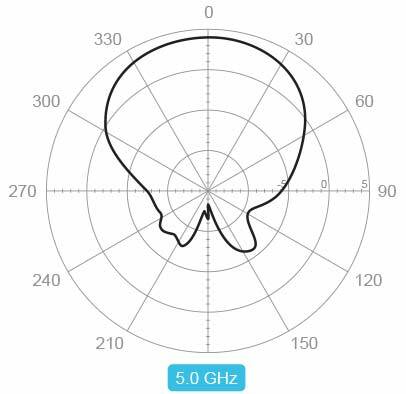 Designed for use with Cisco Meraki MR74 or MR84 5 GHz radios. The sector antenna can extend the range of a Cisco Meraki MR74 or MR84 device by focusing the wireless signal in a specific direction; the best way to establish a medium distance point-to-point wireless link. 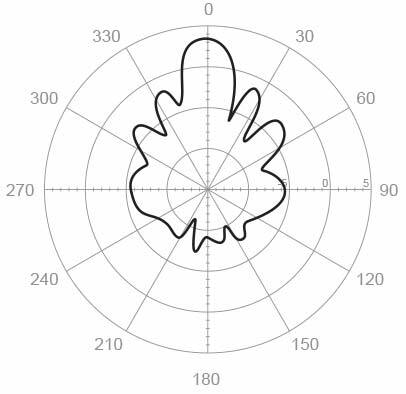 The directional antennas focus wireless signals in a particular direction by creating a co-polarization pattern. Typically, you’ll be able to extend the reach of a radio by up to 2.5x in a particular direction. The antenna comes with everything you need for a pole or wall mount, and is suitable for indoor or outdoor use. 2 cables with N-Type connectors are integrated with the antenna. 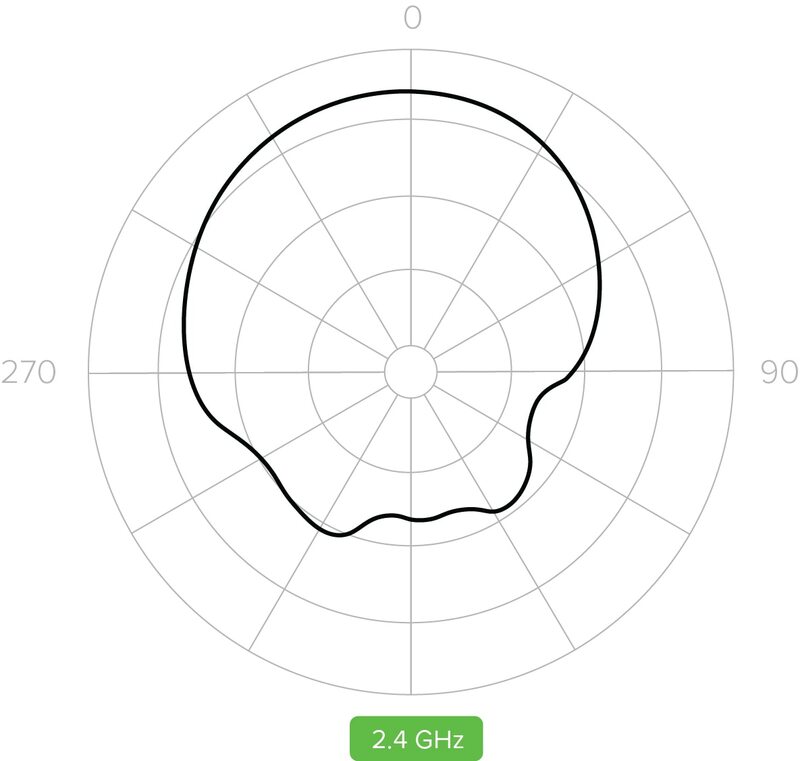 Cisco Meraki’s antenna accessories improve the reach and connectivity of a Cisco Meraki network by focusing and increasing signal strengths between MR74s and MR84s. 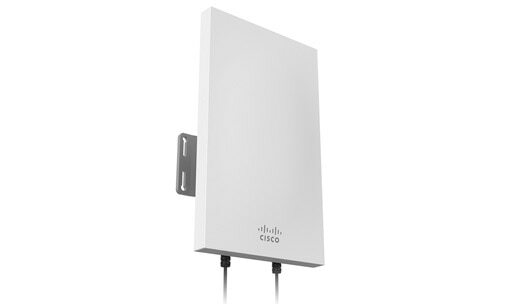 Designed for use with Cisco Meraki MR74 2.4 GHz radios. 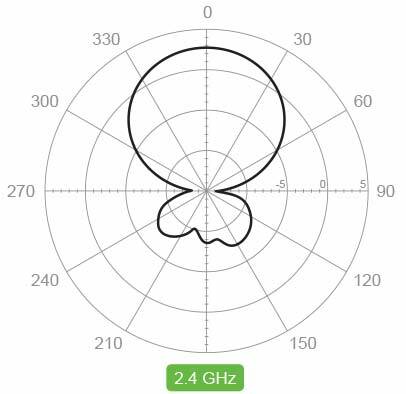 The sector antenna can extend the range of a Cisco Meraki MR74 device by focusing the wireless signal in a specific direction; the best way to establish a medium distance point-to-point wireless link. 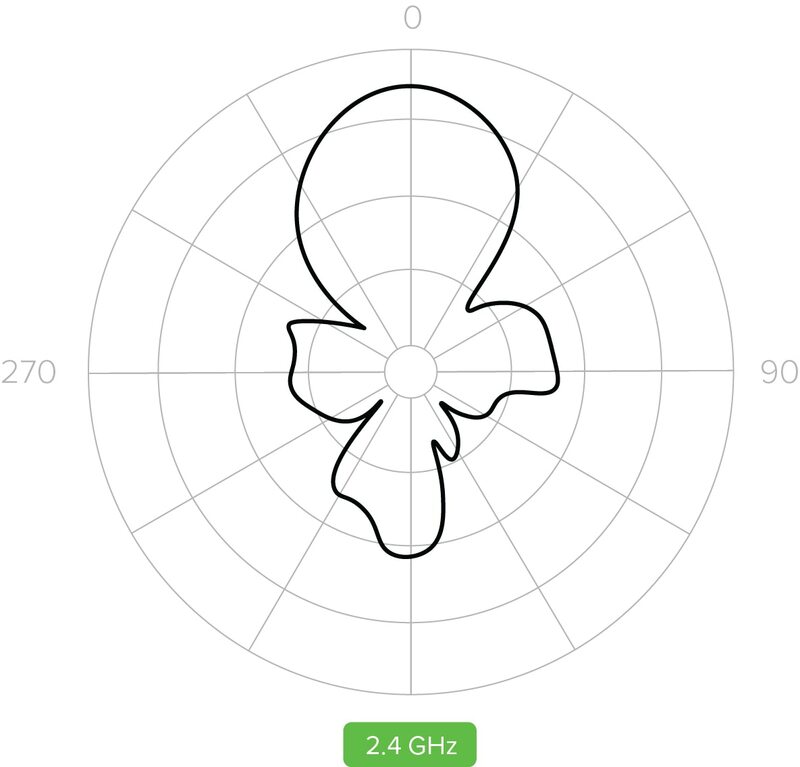 Cisco Meraki’s antenna accessories improve the reach and connectivity of a Cisco Meraki network by focusing and increasing signal strengths between MR74s. 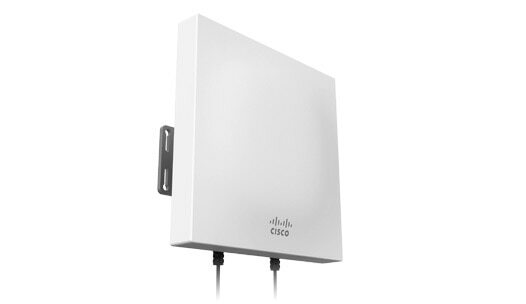 Designed for use with Cisco Meraki MR74 and MR84 APs. 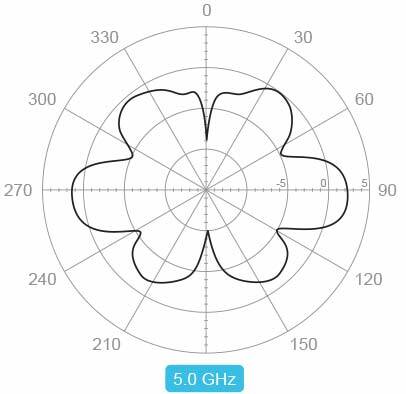 The patch antenna can extend the range of a Cisco Meraki MR74 or MR84 device by focusing the wireless signal in a specific direction; the best way to establish a medium distance point-to-point wireless link. 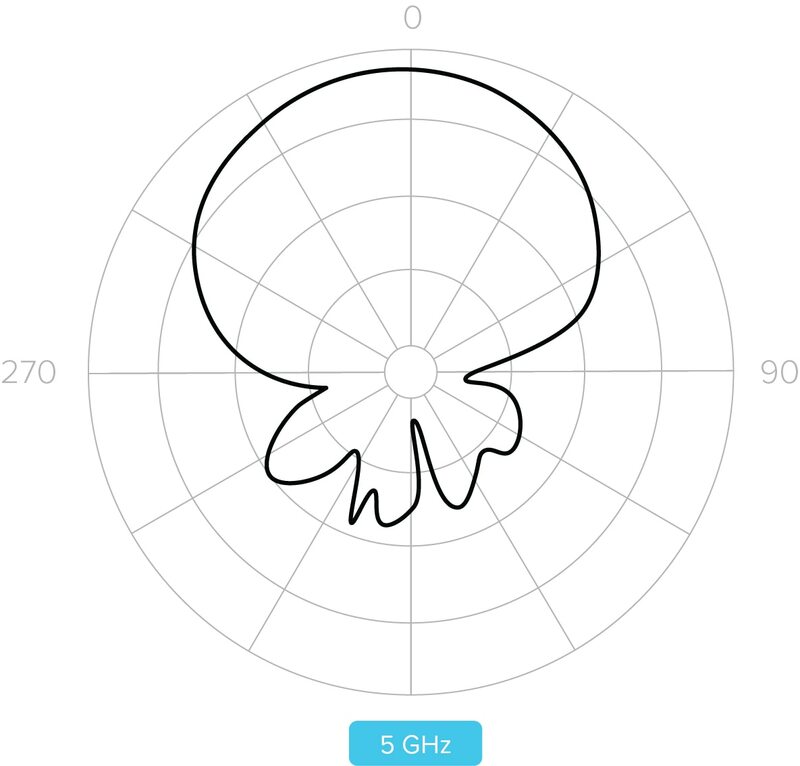 Designed for use with Cisco Meraki MR84 APs. 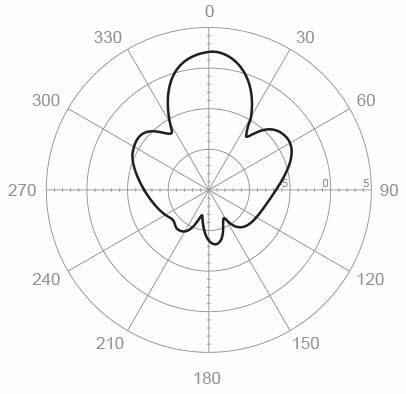 The sector antenna can extend the range of a Cisco Meraki MR84 device by focusing the wireless signal in a specific direction; the best way to establish a medium distance point-to-point or point to multi-point wireless link. 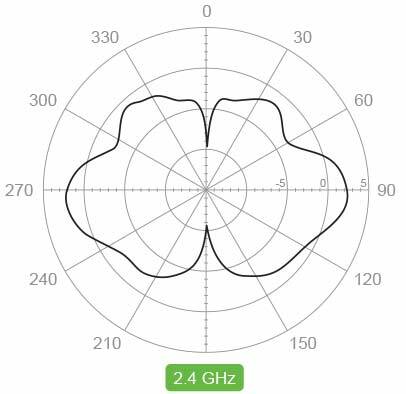 The Cisco Four-Port Dual-Band Polarization-Diverse Array Antenna (AIR-ANT2513P4M-N=) is supported for use with the Cisco Meraki MR84 AP. This antenna is designed for stadium, arena, and large venue events and provides a narrow 30° coverage band. Designed for stadium, arena, and large event venues. 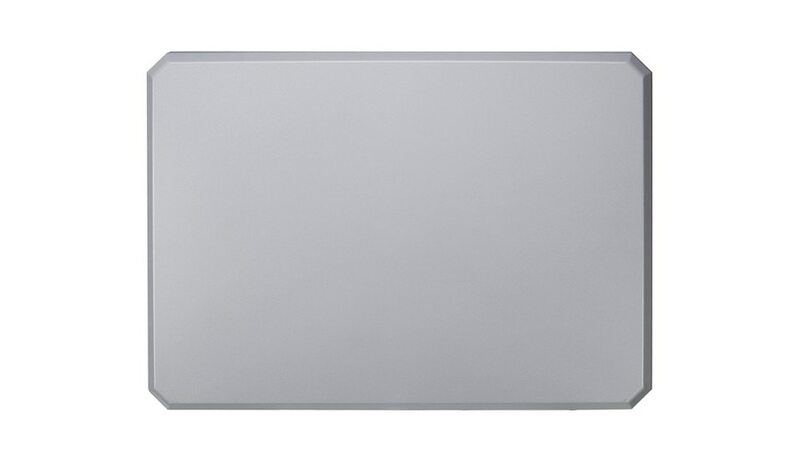 IP67 rated for harsh outdoor or industrial indoor conditions. 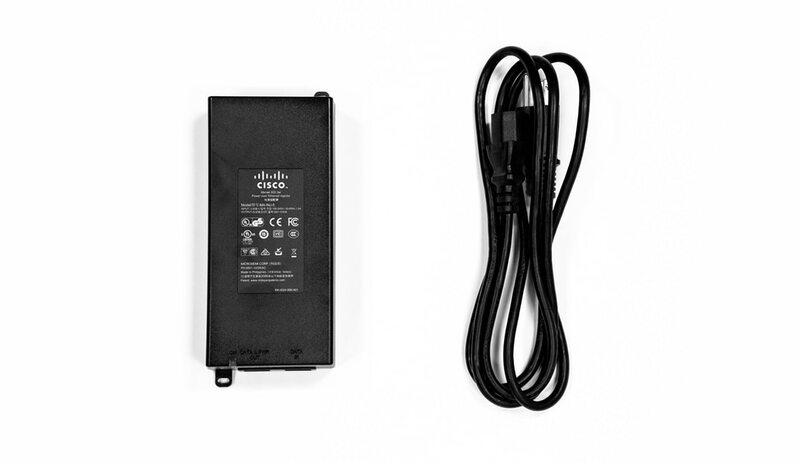 The Cisco Meraki 12V AC Adapter provides a quick and easy way to power your Cisco Meraki Enterprise access points. 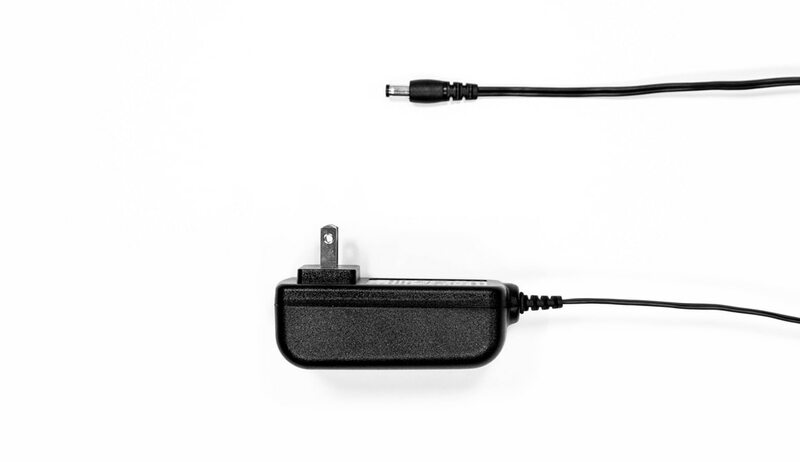 The Meraki 12V AC Adapter is compatible with the Meraki MR18, MR32, MR34, MR42, and Z1. Four different plug types ensure compatibility with AC outlets in nearly every country around the globe. The Cisco Meraki Multigigabit PoE Injector allows delivery of both data and power to a Meraki access point over a single Ethernet cable, allowing deployment of devices exactly where they are needed to provide the best wireless coverage and at much lower installation cost. 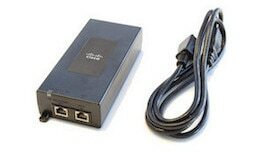 This PoE injector is specifically designed to meet the power needs of Cisco Meraki 802.3at-compatible multigigabit devices. Check the access point specifications to ensure compatibility. This kit includes a pair of deep drop ceiling clips and spare T-Rail adapter which supports both recessed T-Rail and flush T-Rail. The deep drop ceiling clip works well with "Armstrong Silhouette" and similar ceiling grids which are found in newer building designs. 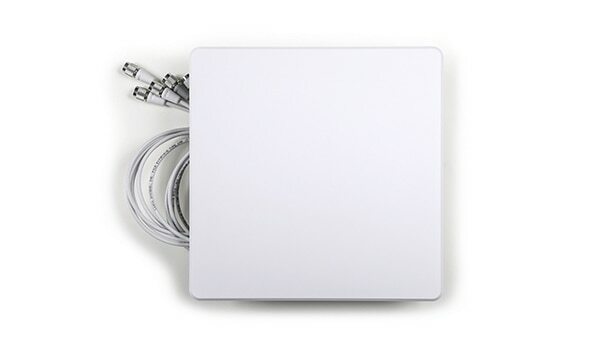 This kit is compatible with all Meraki MR access points and MV21 & MV71 security cameras. 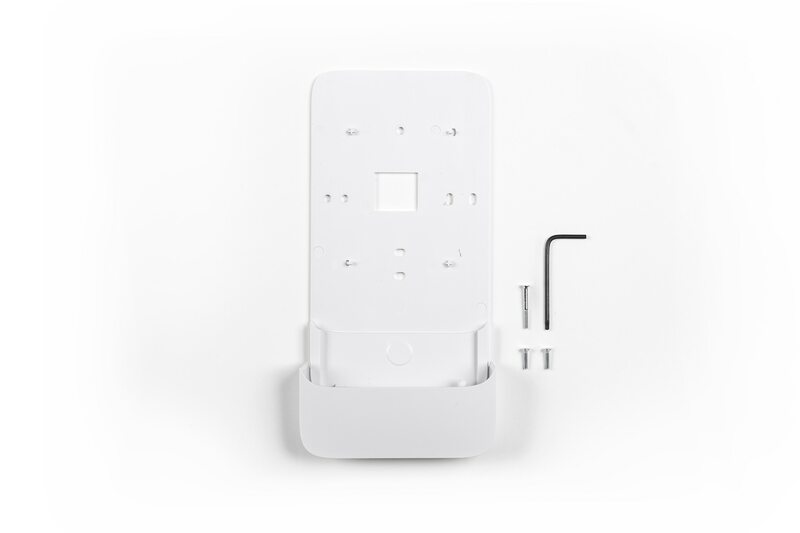 This kit provides replacement mounting accessories for Cisco Meraki MR62 and MR66 access point. 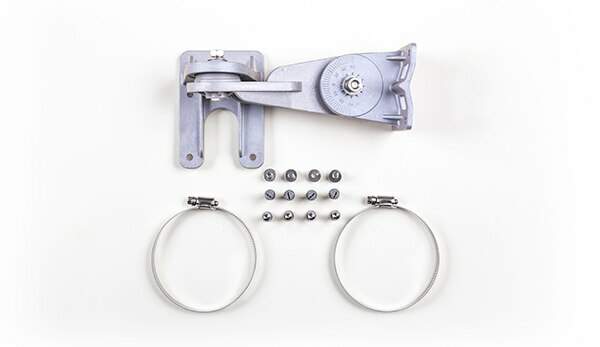 The kit contains a replacement mount plate,, four wall screws and anchors, two mounting straps, and a cable gland. 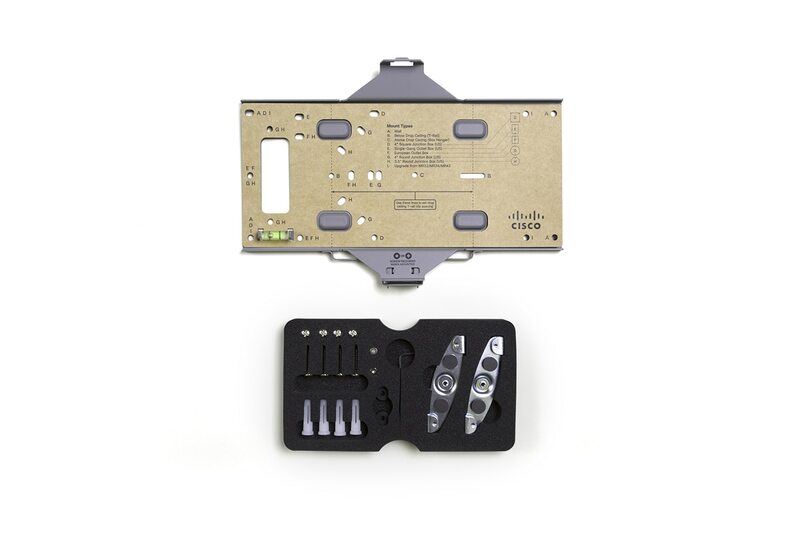 This kit provides replacement mounting accessories for Cisco Meraki MR34 access points, and can be used to mount to most 9/16”, 15/16” or 1 ½” T-rails. 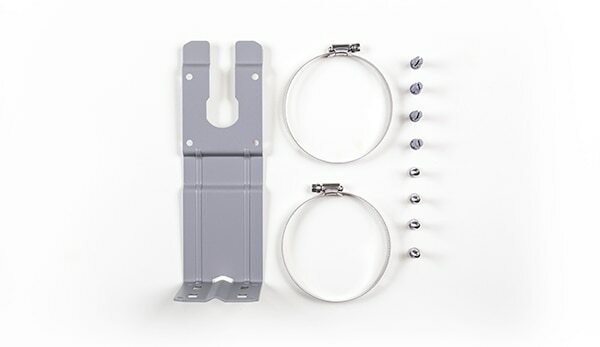 The kit contains a replacement mount plate, drop ceiling clips with set screws, three 32x4mm (flush T-rail) screws, three 6-32x7mm screws (recessed T-rail), two rubber spacers, two wall screws and anchors, security screws and a security screw tool that can be used to secure the access point to the mount plate (engaging the security screw prevents accidental dislodging and theft). 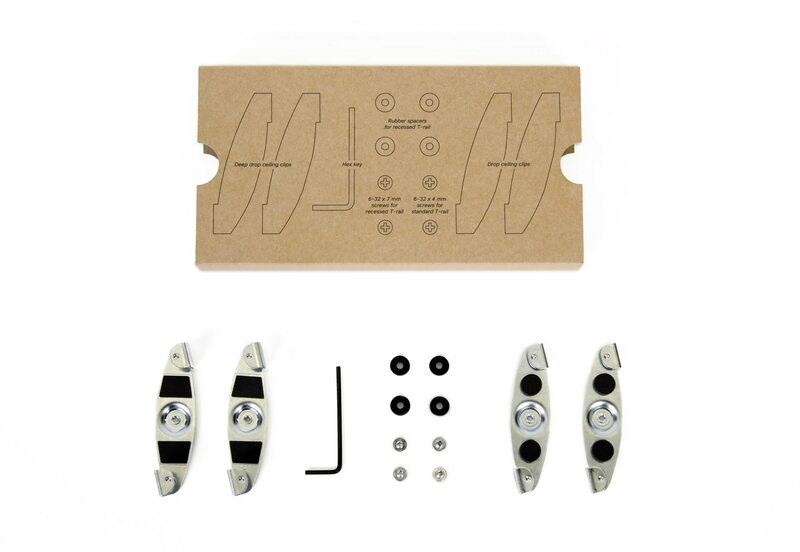 This kit provides replacement mounting accessories for Cisco Meraki MR18 access points, and can be used to mount to most 9/16”, 15/16” or 1 ½” T-rails. 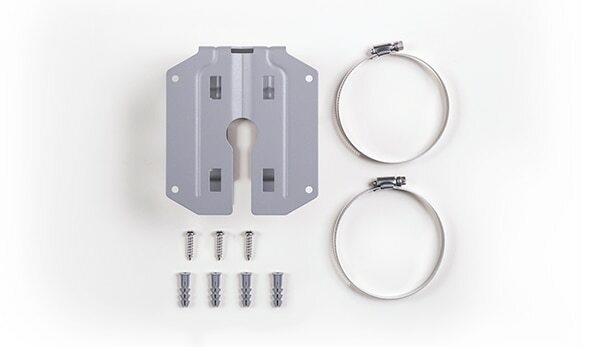 The kit contains a replacement mount plate, drop ceiling clips with set screws, two 6-32x4mm (flush T-rail) screws, two 6-32x7mm screws (recessed T-rail), two rubber spacers, two wall screws and anchors, security screws and a security screw tool that can be used to secure the access point to the mount plate (engaging the security screw prevents accidental dislodging and theft). 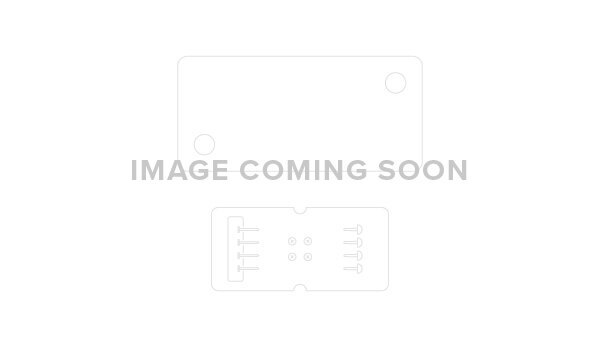 This kit provides replacement mounting accessories for Cisco Meraki MR74 and MR84 access point. 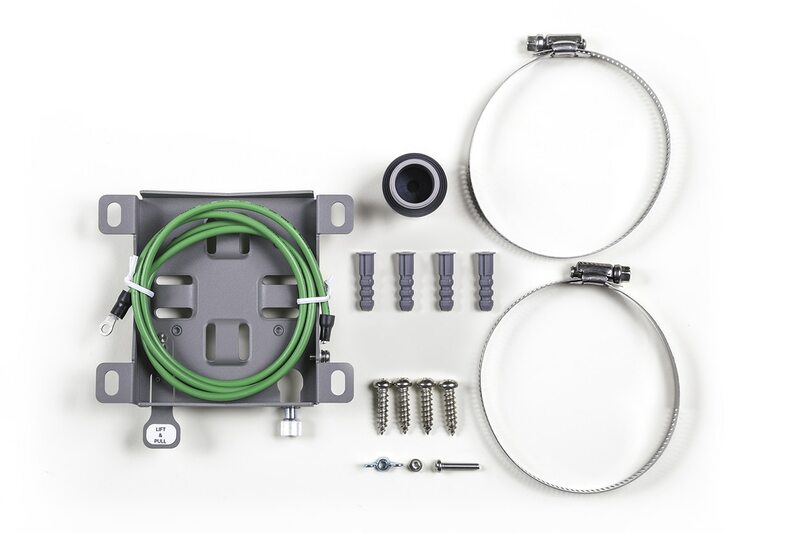 The kit contains a replacement mount plate, drop ceiling clips with set screws, four wall screws and anchors, grounding screws, mounting straps, and a cable gland. 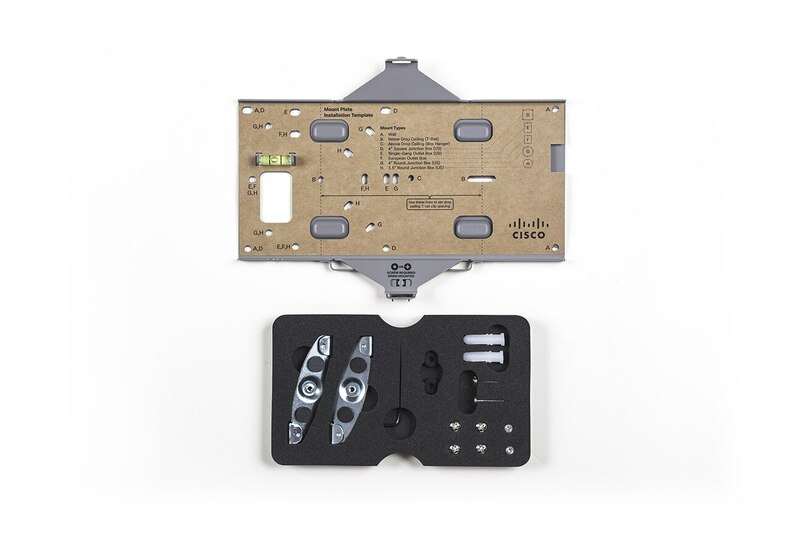 This kit provides replacement mounting accessories for Cisco Meraki MR42 access points, and can be used to mount to most 9/16”, 15/16” or 1 ½” T-rails. 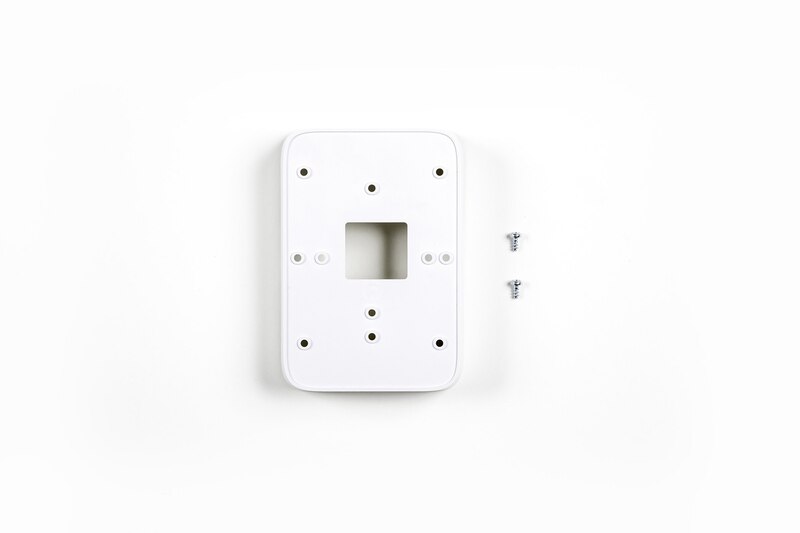 The kit contains a replacement mount plate, drop ceiling clips with set screws, two 6-32x4mm (flush T-rail) screws, two 6-32x7mm screws (recessed T-rail), two rubber spacers, two wall screws and anchors, security screws and a security screw tool that can be used to secure the access point to the mount plate (engaging the security screw prevents accidental dislodging and theft). 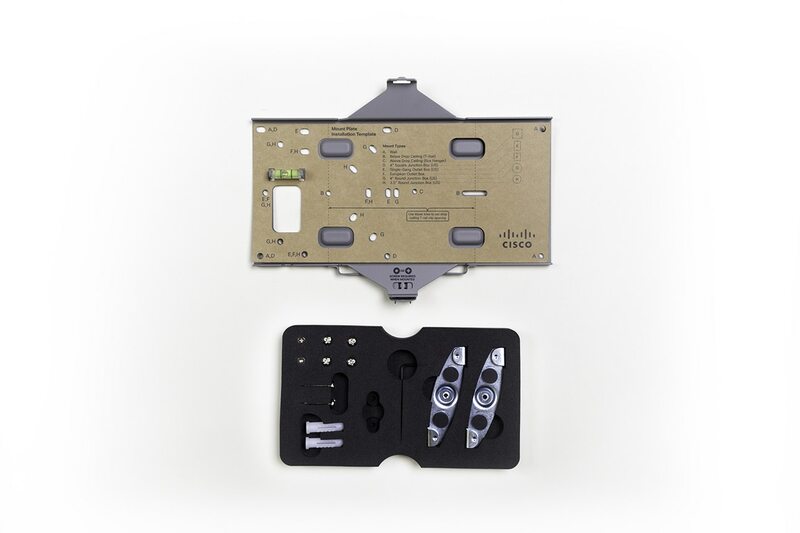 This kit provides replacement mounting accessories for Cisco Meraki MR84 access point. 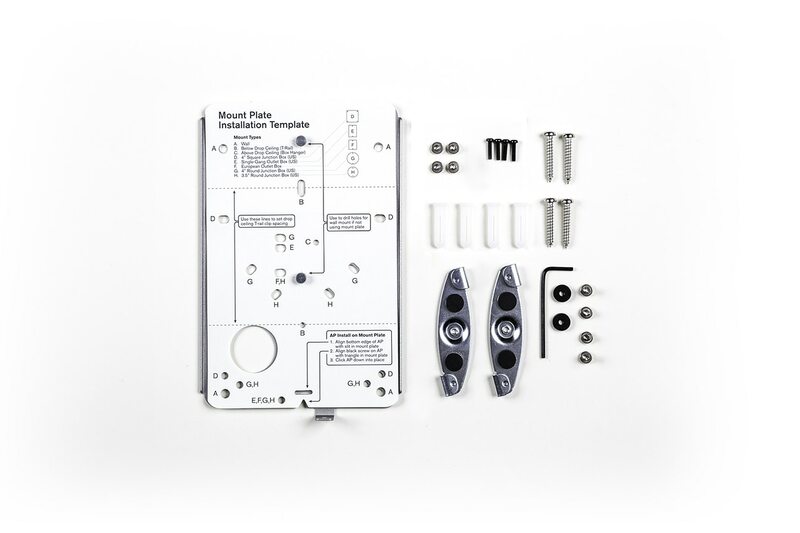 The kit contains a replacement mount plate, drop ceiling clips with set screws, four wall screws and anchors, grounding screws, mounting straps, and a cable gland. 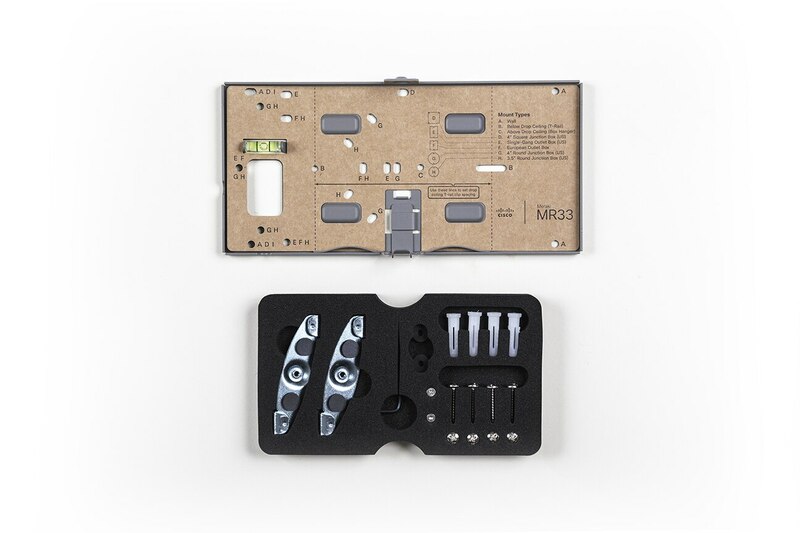 This kit provides replacement mounting accessories for Cisco Meraki MR33 access points, and can be used to mount to most 9/16”, 15/16” or 1 ½” T-rails. 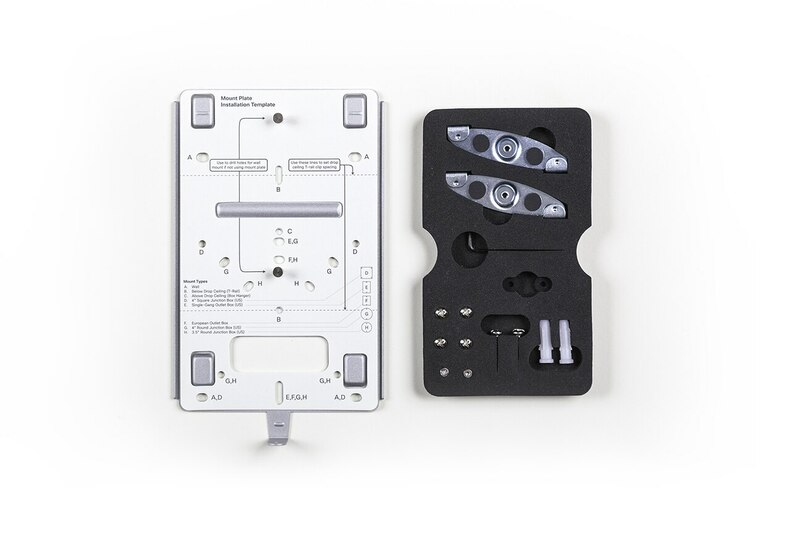 The kit contains a replacement mount plate, drop ceiling clips with set screws, two 6-32x4mm (flush T-rail) screws, two 6-32x7mm screws (recessed T-rail), two rubber spacers, four wall screws and anchors, security screws and a security screw tool that can be used to secure the access point to the mount plate (engaging the security screw prevents accidental dislodging and theft). 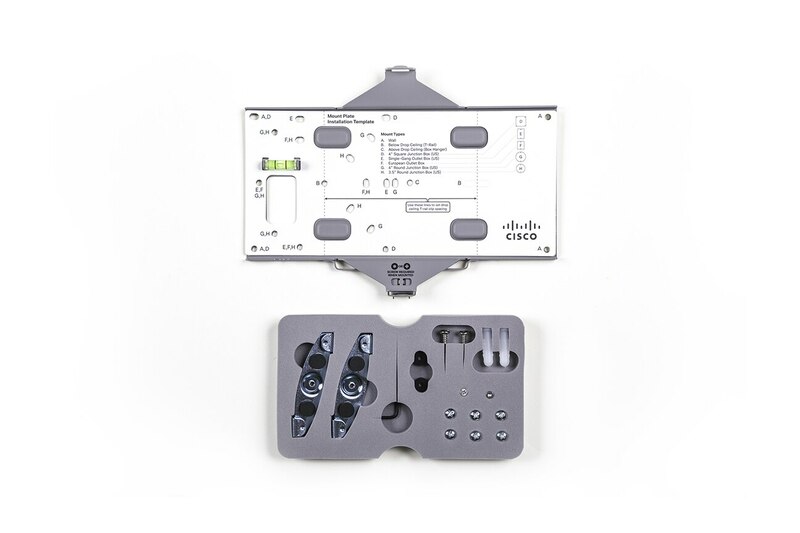 This kit provides replacement mounting accessories for Cisco Meraki MR30H access points, which are designed for wall plate deployments. 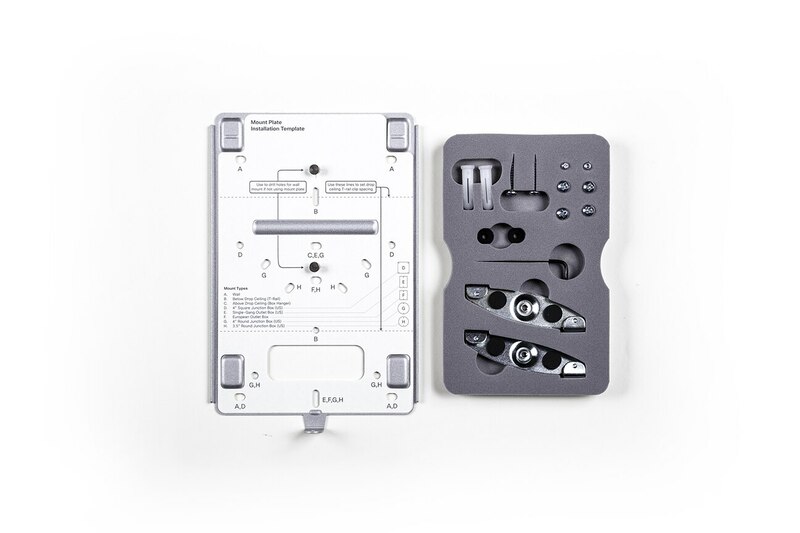 The replacement kit contains four wall screws and wall screw anchors, security screws, and an eject/security screw tool. 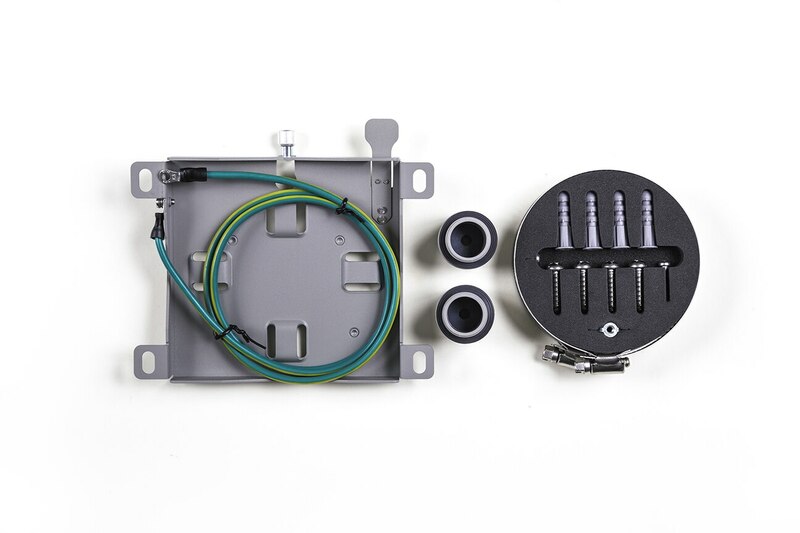 This wall mounted kit is designed to be used in installations where additional cabling outlets are needed (e.g., telephone cabling) via the same wall plate used by an MR30H access point, and where an aesthetically pleasing solution is needed. 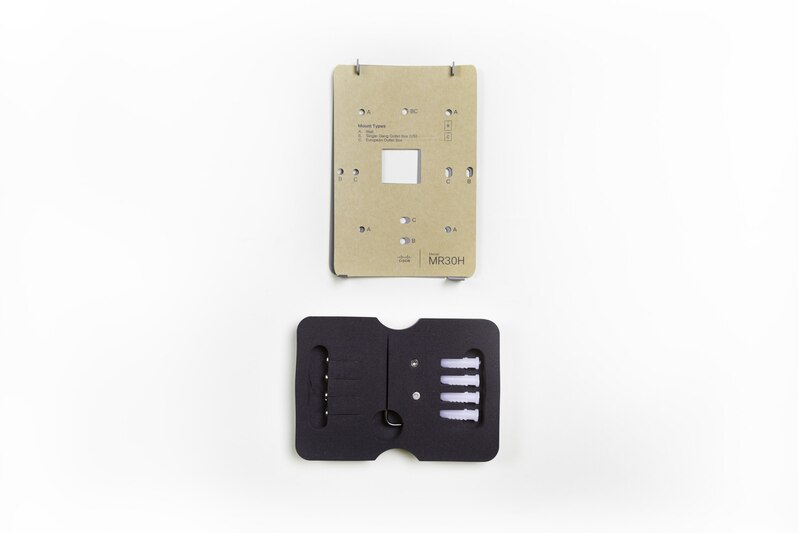 The kit contains the front and rear panels of the accessory, two 12mm Philips head screws, and a keystone jack port. 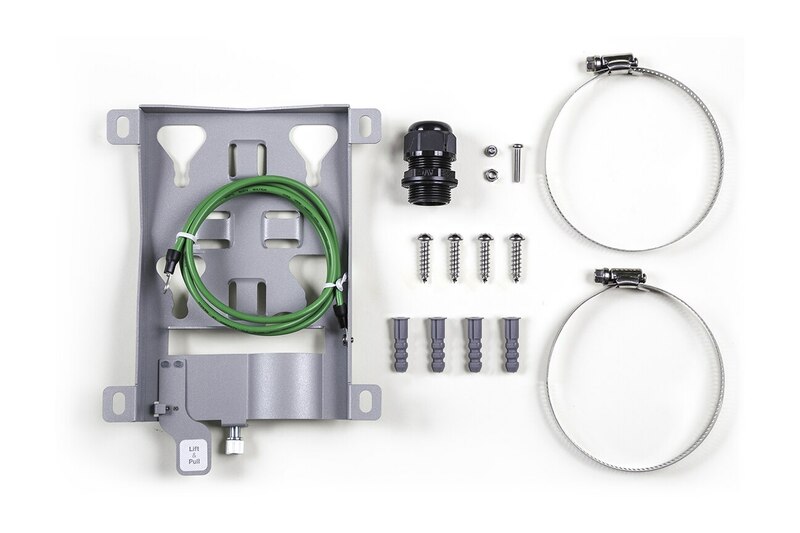 This wall mounted kit is designed to be used in Meraki MR30H access point (AP) installations where cable security is needed to prevent individuals from physically accessing the AP’s integrated switch ports. This kit allows organizations to securely implement wired guest services while ensuring the physical cabling infrastructure is not tampered with, and that unauthorized wired LAN access is prevented. 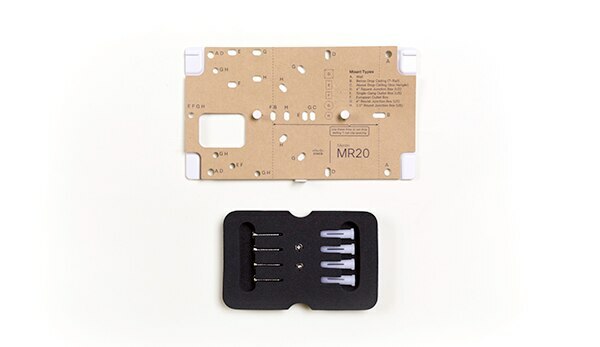 The kit contains the front and back panes of the accessory, 1x12mm phillips screw, 2x12mm torx screws, 1x 25mm torx screw, and and L-wrench. Note: this kit is only compatible with Meraki MR30H access points.